Following on from last year’s Titan, here are shots ofs 3A’s Warlock and Hunter figures, which are being released in three flavours: one each for 3A’s store, Bungie’s store and other retailers. The 3A and Bungie versions will ship with four weapons (primary, special, heavy & exotic) while the regular one is missing the exotic. Each of the three has a different roster of weapons and a different Ghost, too. 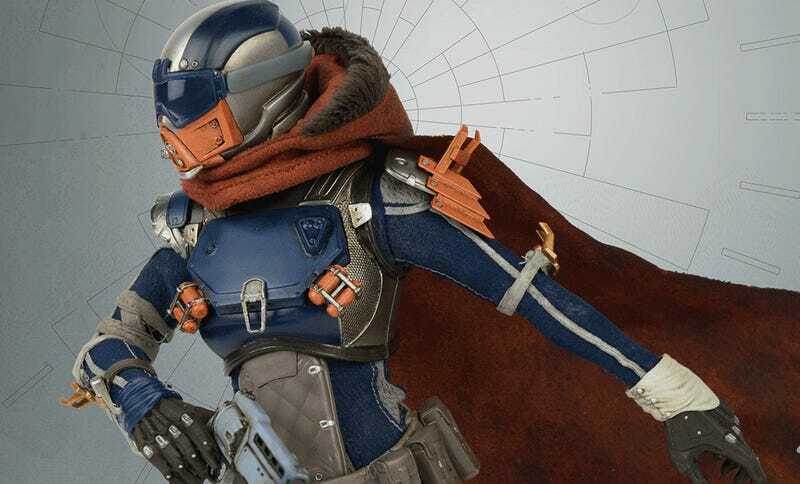 Preorders will go live on July 7 for the Warlock and July 21 for the Hunter.